Hug-A-Bubba's Doggie Daycare and Grooming is a very unique place. It's atmosphere is just like a daycare for kids with loving individual attention from our staff and different areas for the dogs to explore. During rest time, we even have television and music for your dog to enjoy. Hug-A-Bubba's Doggie Daycare boasts a 2,200 sq ft. playroom which is A/C and heated and also has an outdoor area. We also have a 1,300 sq ft. additon for small dogs and puppies. 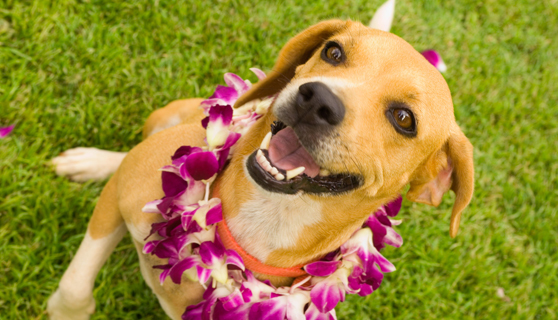 We accept fun and friendly dogs that share and are not territorial over food, toys, or space. Also your dog must be in good general health with current DHLPP, Bordatella, and Rabies vaccinations, along with a monthly flea treatment. We accept puppies as well, at least 12 weeks of age with proof of DHLPP series vaccinations. Upon acceptance, you may purchase a daycare package that best works for you and your canine's needs. Bring your best friend to Hug-A-Bubba's to run, romp, and play all day!